This day actually began to take shape several years ago. When Sharon was 6 or 7 to be exact. That's when she participated in her very first dance recital. It wasn't something she loved at that age. Just something she did. In fact shortly after the recital she stopped dancing for a few years. When she was 10, she decided she wanted to learn to dance. Not just for fun, but because she was now beginning to love it. So she took classes. 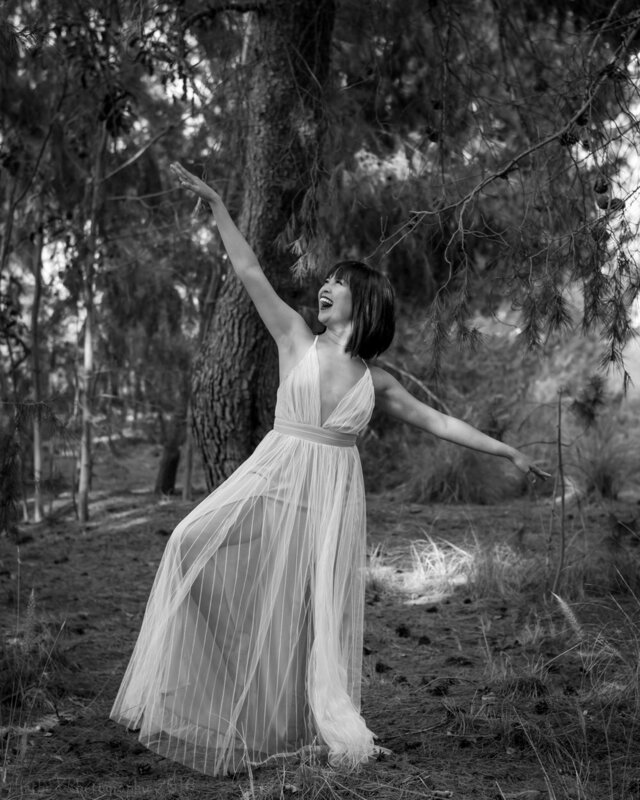 Over the years she trained in jazz, tap, ballet, hip/hop and lyrical/contemporary. Even though she was well versed in dance, jazz or jazz funk became her favorite. There was no certain type of music that she preferred to dance too. For her, dance was her life and her passion and if there was music playing, she was ready to dance. According to Sharon, she does not have a favorite Harry Potter film, but if she had to pick one, she would have to go with the Goblet of Fire. Sharon's time at Universal Studios is what actually brought Hatbox Photography and her together. This photo to the right was taken back in December 2017 during one of the Beauxbaton performances. Shortly after we engaged in conversation on Instagram and a date was set for our first photoshoot. 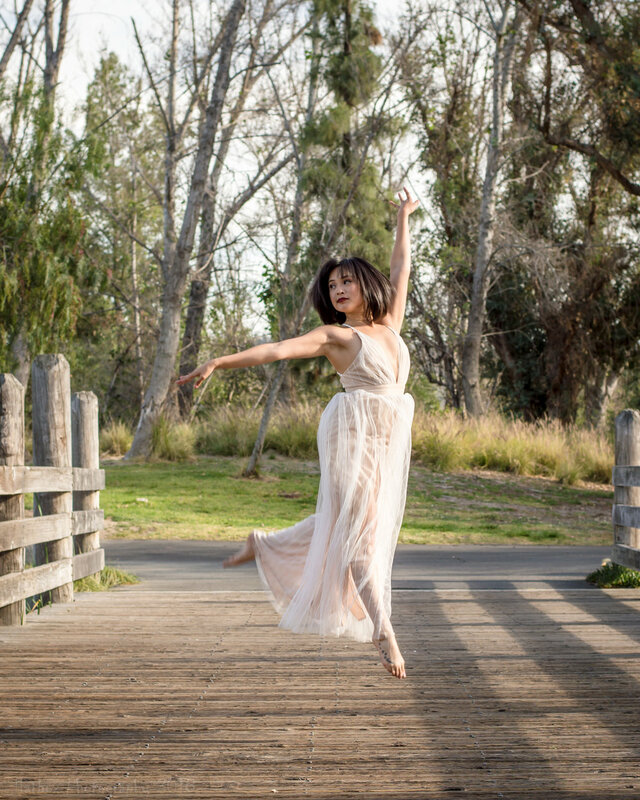 Three reschedules later (that's the life of a dancer) and the shoot finally happened. Sharon is an absolute joy to work with. We laughed, she jumped, I danced (ok, not really. I'm a terrible dancer) and it didn't take long for us to decide that there will be many more shoots to come. From 2014-2016 Sharon was part of the Los Angeles Clippers Spirit Squad. I asked Sharon what was it like dancing at center court of Staples Center in front of 18,000 people. She said it was UNREAL and one of her favorite stages to have danced on because it's so different from any "normal" stage. Her favorite part of the Spirit Squad was her Spirit Sisters. The dancing, laughing, dying at rehearsals and bonding with them. She still keeps in touch with a lot of them and is very close to them. They are going to be part of her life for the rest of her life. Sharon loves music. Makes sense since she is a dancer. While you can dance without music, finding your rhythm is usually easier with music. She couldn't pick a favorite song as she said she has too many jams, but did tell me that Fantasy by Mariah Carey always gets her pumped. As for artists, she is a huge fan of Beyonce, Adele, Miguel, Drake, and Justin Timberlake. Now that you've learned a little bit about Sharon, let me share with you some additional photos from our shoot. There will be a mixture of dance shots and portraits and at the very end, I might just throw in some candid's, because who doesn't love candid's? If you enjoy this blog we ask that you please share the link with your friends and family and ask them to share it as well. Thank you. At 18 she decided that she wanted to work for Disney (Actually she auditioned for Aladdin when she was 17 hoping she could slide by as you need to be 18 to work the show but she could not), so she went back when she was 18 and got a position as the magic carpet and an ensemble dancer. For about 6 years she graced the stage at the Hyperion Theater in Disney California Adventure until Aladdin closed for good in 2015. After Aladdin closed, Sharon moved to Mickey and the Magical Map over at the Fantasy Land Theater inside Disneyland. She is still part of that ensemble cast today. 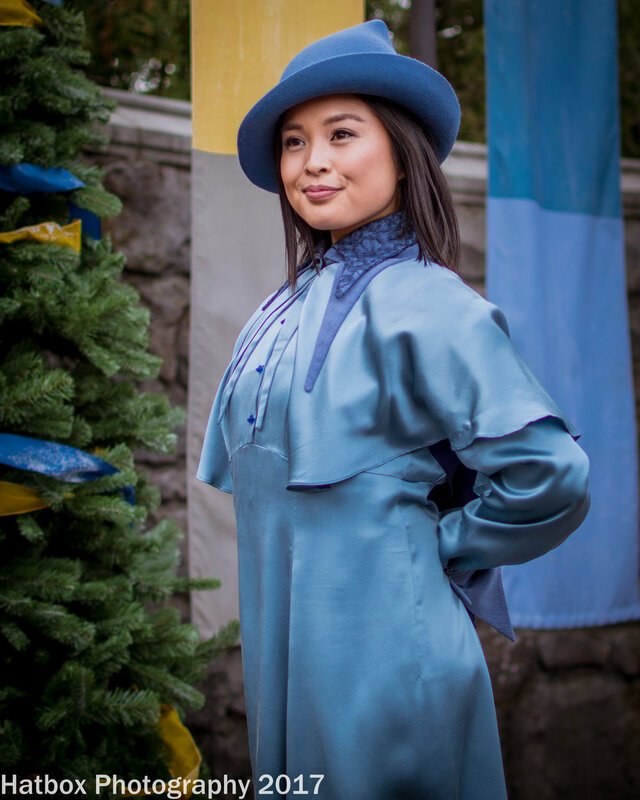 Along with her work at Disneyland and Disney California Adventure, Sharon has also been one of the Beauxbaton dancers inside the Wizarding World of Harry Potter at Universal Studios Hollywood for the past two years. I learned that Sharon's favorite holiday is Christmas and her favorite thing to do at Universal Studios is to experience Grinchmas during Christmas time. This is a very fun seasonal event where you can get your photo taken with the Grinch and Max the dog. There's also the famous Whoville tree sitting on a stage that has multiple performances throughout the day. Characters from Whoville walk around and interact with guests often stopping to pose for photos. Some of Sharon's favorite movie's include Elf, A Goofy Movie, Finding Nemo, Serendipity, and Lion King. She couldn't decide on what her favorite Disney movie of all-time is. She asked me not to make her choose. LOL!! My favorite Disney movie of all-time is Beauty and the Beast. The original cartoon version from 1991 not the live version with Emma Watson, although I thought that one was done pretty well. She does have a favorite ride at the Disneyland Resort. That would be Space Mountain. I can't argue with that. Definitely one of my favorites as well. Have you ever ridden it with the lights on? I have.